The Hawkins Group are passionate about supporting and giving back to our local community and contribute regularly to causes such as fundraising, sponsorship and supporting local services. We currently sponsor two local football teams – Easington Sports Football Club and Bloxham Football Club Under 12s and are proud that our contribution helps them to provide training and equipment for the players, enabling them to succeed and progress further in their training. In May 2015 we became involved with the campaign to save Banbury Phone Box Library. A local resident’s phone box conversion to a small library had been deemed a health and safety risk due to the shelves installed. Hawkins liaised with BT, bought a brand-new phone box, and fitted it with steel shelving. This was installed next to the existing phone box and is now operating as a mini library for the public to borrow and leave unwanted books as desired. In June 2015 we joined forces with a local charity Style Acre, offering employment to two young adults with learning disabilities. Glenn and Ollie now work with us two days a week gaining work experience in all aspects of Hawkins, from admin in the offices to hands on work in our steel fabrication workshop. We aim to provide Glen and Ollie with the tools they need to reach their full potential and are delighted to have them as part of our team. 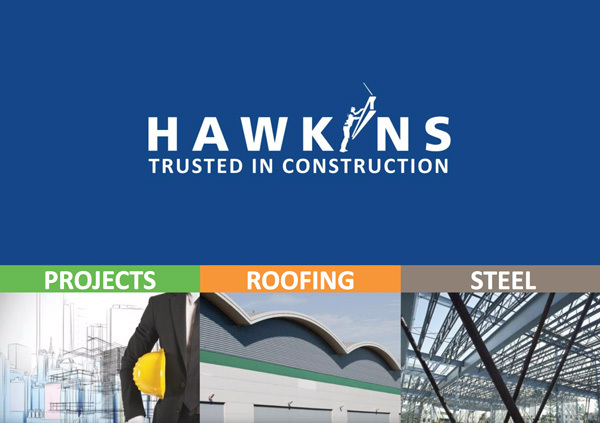 We recently celebrated their 2 year’ anniversary working for the Hawkins Group. In September 2017 we sponsored the ‘Brick Wonders’ Exhibition at Banbury Museum. The exhibition held over 50 models featuring sights from around the world built out of LEGO® bricks. The exhibition included the 7 wonders of the world and famous landmarks from around the world. Sponsoring the Brick Wonders exhibition at Banbury Museum was for us an excellent opportunity to raise awareness of the museum and the fantastic services it has to offer. When asked to take part in or support local activities within the community we will always strive to help out or join in when we can.